Getting from JFK to Manhattan can seem confusing when you’re not familiar with the New York area. You’re arriving into the southeast corner of Queens which isn’t far distance-wise but might as well feel like a world away. 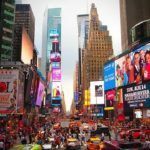 This detailed guide (written-by-a-local) will help you decide the best way to get from JFK Airport to Manhattan with all the step-by-step info you need to make your New York airport transfer. For clarity and to help you get your bearings, JFK airport is about 16 miles from midtown Manhattan. Technically, Laguardia Airport (also located in Queens) is the closest airport to Manhattan mileage-wise but it doesn’t always translate to quicker transfer times into Manhattan. 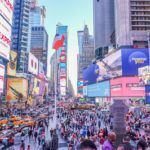 Depending on the day and time you arrive and the way you choose to travel from JFK to NYC, the trip can take about 30-40 minutes or well over an hour. 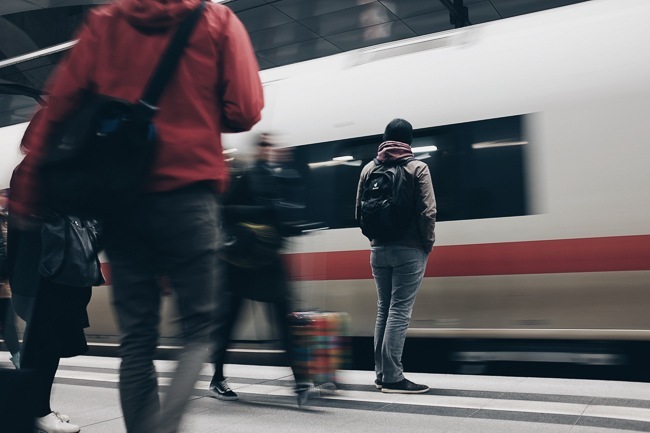 Choosing the right means of transportation for your travel style and travel budget can make all the difference between arriving at your hotel stressed out or ready to get out and enjoy NYC. A cab from JFK to Manhattan is the easiest way to get into New York City. Up to 4 people, or 5 in a minivan, and their luggage can transfer from JFK to New York City by simply waiting at the taxi stand outside each terminal. Depending on the time you arrive, there could be a line of people waiting for taxis but it typically moves fairly well. I bet you’re wondering how much is a taxi from JFK to Manhattan, though! With the convenience, of course, comes an expense. 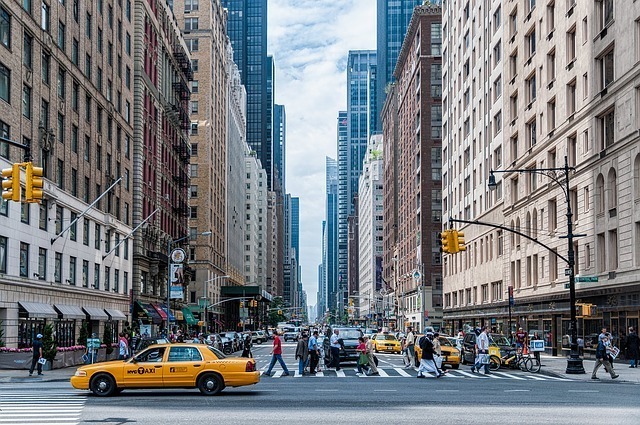 The NYC Taxi and Limousine Commision has set rules for flat fees into Manhattan. The taxi fare from JFK to Manhattan is $52.00, not including tolls or tip. There’s also a $4.50 surcharge during peak hours which are from 4 pm -8 pm on weekdays. A taxi from JFK will also include an NY State tax of 50 cents added to trips within New York. 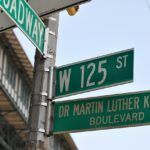 A word of caution, there will also be drivers trying to offer you rides for cheaper than the cost of a taxi from JFK to Manhattan in their unlicensed cars. Ignore them. It’s absolutely safer to go with a regulated yellow cab. Uber and other taxi-apps are also available for pickups in the arrivals area. A private transfer from JFK to Manhattan will start at around $45-$50. Similarly, you can also arrange for a pre-arranged car service from JFK to Manhattan. The biggest benefit with this is not having to wait in a line at the taxi stand and having a driver anticipating your arrival even if your flight is delayed. 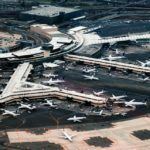 An NYC airport shuttle is a more affordable and more environmentally-friendly way to transfer from JFK to Manhattan. 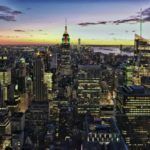 Go Airlink NYC is an official partner with the New York and New Jersey Port Authorities and has earned a reputation among hotels in NYC as the most trusted New York airport shuttle. You can book a seat on the shuttle ahead of time and your driver will track your flight and wait in case of any delays. You’ll get door-to-door shuttle service to and from your NYC hotel no matter when you arrive. Transportation from JFK to Manhattan is available 24/7. Round trip tickets are also available for you to arrange a shuttle to JFK at the end of your trip. 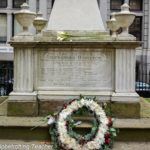 If you want to save some money but don’t want the hassle of lugging your bags onto the subway or the train, the best way to get from JFK to Manhattan is with a shuttle like Go Airlink NYC. Pro Tip: Go Airlink can accommodate bigger families or groups who need an entire shuttle from JFK. Not only can everyone travel together, but the cost can also be split. First and foremost, this is the cheapest way to get from JFK to Manhattan. For a total of $7.75, you can transfer from JFK to NYC. 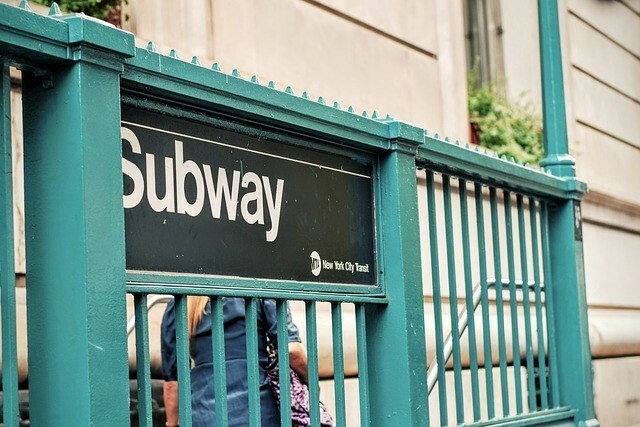 In addition to your budget, there are a few other things to think about before deciding whether the subway or train is the best option for you. What day and time are you arriving? Things like rush hour traffic and late night travel might be a reason to choose public transportation from JFK to NYC or not. During peak traffic times, plan at least an hour on the roads to get from JFK to New York City. How many bags do you have? Within the airport, there are elevators and escalators to help you manage your luggage. But, once in the subway, expect to have to navigate stairs and bigger crowds. How many people are you traveling with? The taxi cost from JFK to Manhattan is still $52 plus tolls, tip, and other surcharges even with a full taxi of 4-5 people. But, if you need more than 1 taxi to fit everyone, the expense can add up quickly. Is it your first time in New York City? 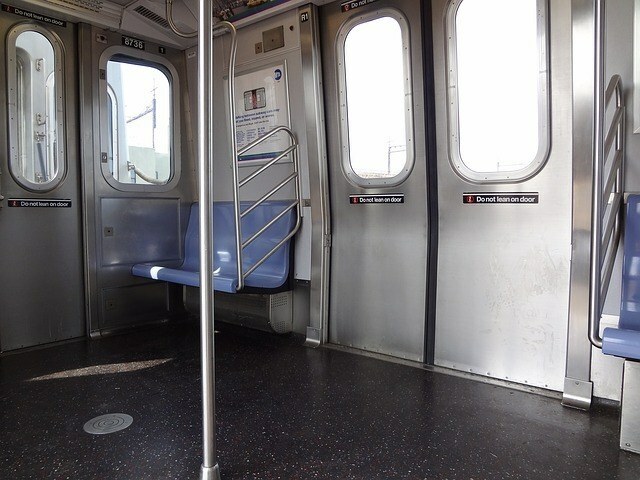 The subways and trains are easy to figure out, especially with a little research before your trip. 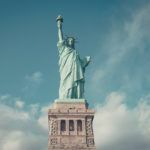 But if you’re feeling nervous about visiting NYC, it could be worth a few extra dollars to go by taxi or shuttle service from JFK to Manhattan to start the trip right. Managing heavy bags on stairs like these is a challenge! You can get to multiple places in New York City by using the AirTrain, the NYC subway system and/or the Long Island Railroad (LIRR). The AirTrain All Terminals Loop is the airport line is just as it sounds. It circles thru each of the airport terminals and parking areas. This line only loops the airport and will not get you to stations connecting you with the NYC subway or the LIRR. This is the fastest way on public transportation from JFK to your hotel in Manhattan compared to connecting to the subway. At $15, it costs about $7 more than the subway, but the total travel time is just 30-35 minutes. This $15 includes the AirTrain $5.00 exit fee plus the cost of the LIRR train ticket. Follow the airport signs to the AirTrain. Take the AirTrain Jamaica Line to Jamaica Station where you connect to the LIRR. The LIRR will take you into New York Penn Station at 34th Street in midtown Manhattan similar to how NJ Transit trains transport passengers from Newark Airport to Manhattan. Jamaica station is a major hub for the LIRR and trains into Penn will run just about every few minutes. Look to the scheduling monitors for the next arriving train and track info. 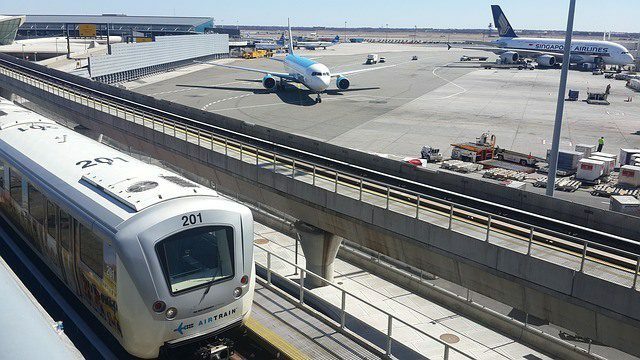 You can also get from JFK Airport to New York City by taking AirTrain’s Jamaica line to the Sutphin Blvd/ Archer Avenue station. Here’s where you’ll connect to the expansive NYC subway system. Most visitors are traveling to a midtown hotel. So, if this is you as well, you’ll probably need to get off the train at either 42nd St./Times Square or the very next stop, 34th St./ Penn Station. From either of these stops, you’ll also have the option to transfer for free to other subway lines. Penn Station also has a taxi stand if you plan to finish your journey in a cab. From your terminal JFK Airport to NYC, expect the ride to take about 50 to 60 minutes and cost $7.75. The cost includes the $5.00 AirTrain entrance/exit fee and $2.75 for the subway ride. There is a $1.00 charge to buy a new MetroCard from an automated machine, but this fee is waived if you buy your Metrocard from an agent at the station. Similar to above, take the Howard Beach AirTrain Line to the Howard Beach/JFK Airport stop and connect to the “A” train to Manhattan on the New York City subway. The $7.75 one-way cost applies as above. 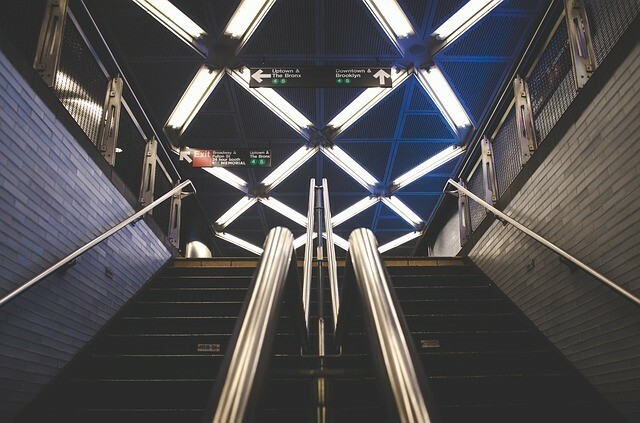 Buy your MetroCard for the subway at the Howard Beach Station and proceed into Manhattan. In all honesty, if I had to choose an AirTrain/NYC Subway option, I’d use the Jamaica Line option from above. The Howard Beach Line option takes longer to get to Manhattan at about 70-75 minutes. The one difference to consider is the A train will get you into lower Manhattan below 14th street. If you’re staying at an NYC hotel below 14th St. on Manhattan’s west side, the “A” train might make more sense. Is there a bus from JFK to Manhattan? There are no direct buses that go from JFK to midtown or other parts of Manhattan. There are buses that can help you connect with the subway or Long Island Railroad but they’re unnecessary for travel from JFK to Manhattan as long as the AirTrain is running normally. Some buses do go to specific neighborhoods in Brooklyn, but it would still be worth it to investigate subway options as it’s usually faster to go by subway to get where you’re going than by bus. You can take all of the above transportation options from Manhattan to JFK Airport at the end of your trip. 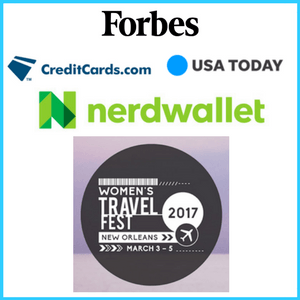 It’s worth it to compare one-way and round-trip ticket prices to see if there’s a less expensive bundled ticket. 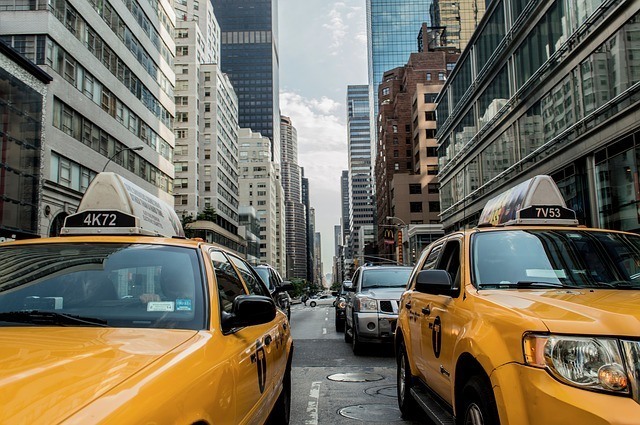 A taxi from Manhattan to JFK still costs the same $52 flat fee (not including tolls and tip) and has the applicable surcharges and taxes depending on the timing of your trip. If you’re taking a taxi to JFK, be mindful of the time of day you need to get there in relation to peak NYC traffic times. It can take well over 90 minutes to get to JFK if the traffic is thick! 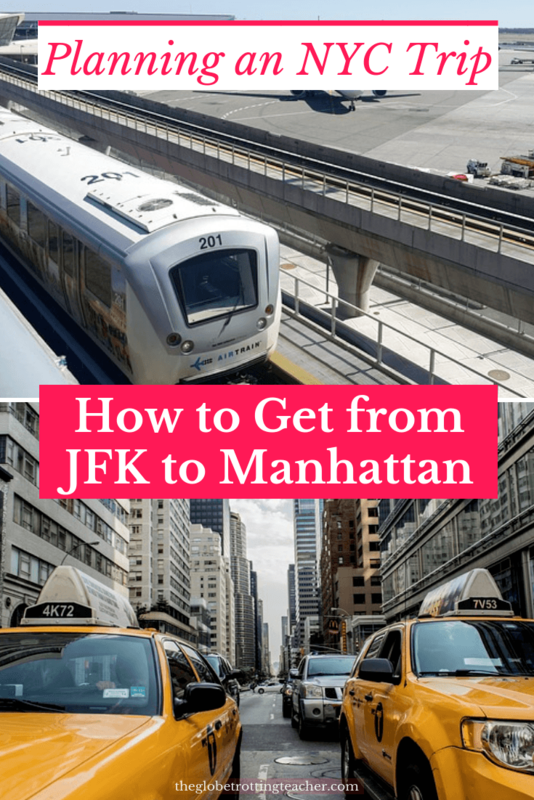 So, how should you get from JFK Airport to Manhattan? 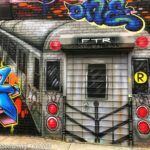 The LIRR trains and the NYC subway are the best ways from JFK to Manhattan if you’re looking to save money and time sitting in traffic. On the other hand, if the public transportation choices seem too stressful, JFK shuttle service is a great compromise. You get a hassle-free ride without the high cost of a taxi from JFK to Manhattan. 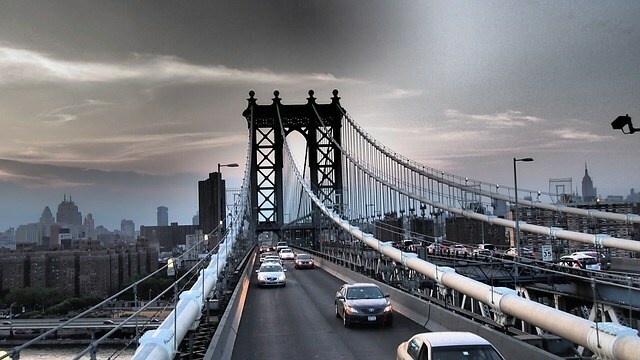 So, which JFK airport transportation to Manhattan looks like the right choice for you? Thank you for sharing this it was really helpful. This has been a very useful article and most helpful. Thank you, third time in NYC and at different airports. Thank you for sharing! NYC bound in 1day. Thank you for posting this. I still a bit confused with all the names and places but at least I won’t be going to Manhattan blind. I am doing a solo trip for a day from Boston. My first problem was deciding to fly in or take the AmTrak. Prices are pretty much the same, but flying is only an hour. I’d like to spend as much time exploring than to sit 4 hrs on the Amtrak. The biggest benefit with Amtrak is that I am right in Penn station. My problem with flying is how to get into Manhattan from JFK. So my best bet is the Airtran and the LIRR because I just need to get to Penn Station. So when I to go to back to JFK, where do go from there? Penn station to LIRR to Jamaican station to JFK? Thank you in advance!! We just arrived and are riding the lrr right now!!! Thank you so much for your specific details to make this easy!! We’re in town from Georgia and this is great info! We are traveling with our two children, and they’re loving the train! Thanks again for laying out all the options! So helpful! Thank you for reading, Stacey! So glad the guide was helpful for you to transfer. Love that the kids got such a kick out of the train. 🙂 Enjoy NYC.